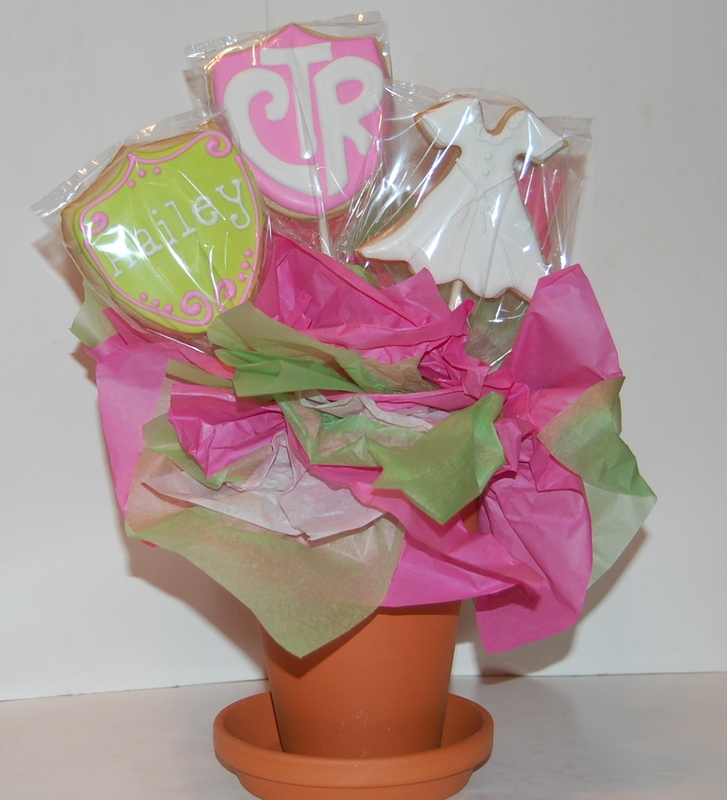 Here are some more sugar cookie bouquets. 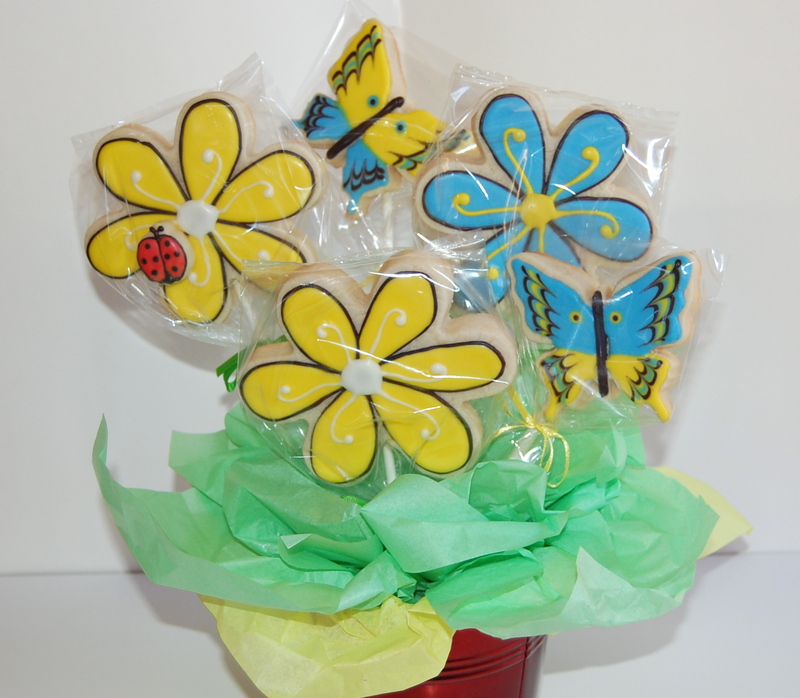 The first one is a flower sugar cookie bouquet with sugar cookie butterflies that I did as a gift for someone to give to a co-worker. If you look closely you will see a small sugar cookie lady bug on one of the flowers. 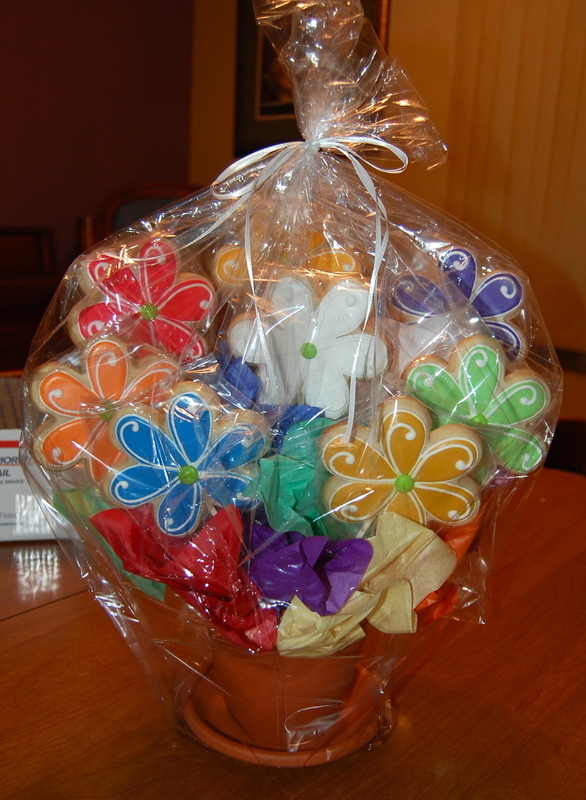 The next one is a flower sugar cookie bouquet that I made for a Young Women’s New Beginnings program. 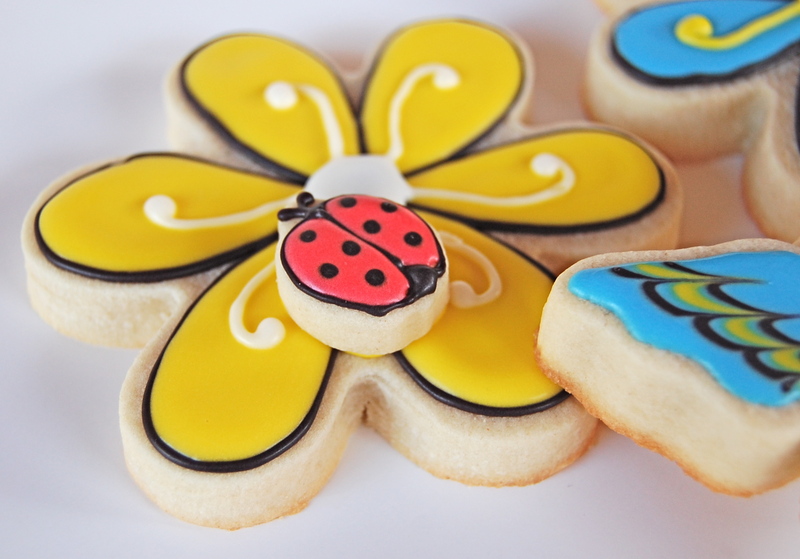 There are eight sugar cookie flowers, one for each young women value. 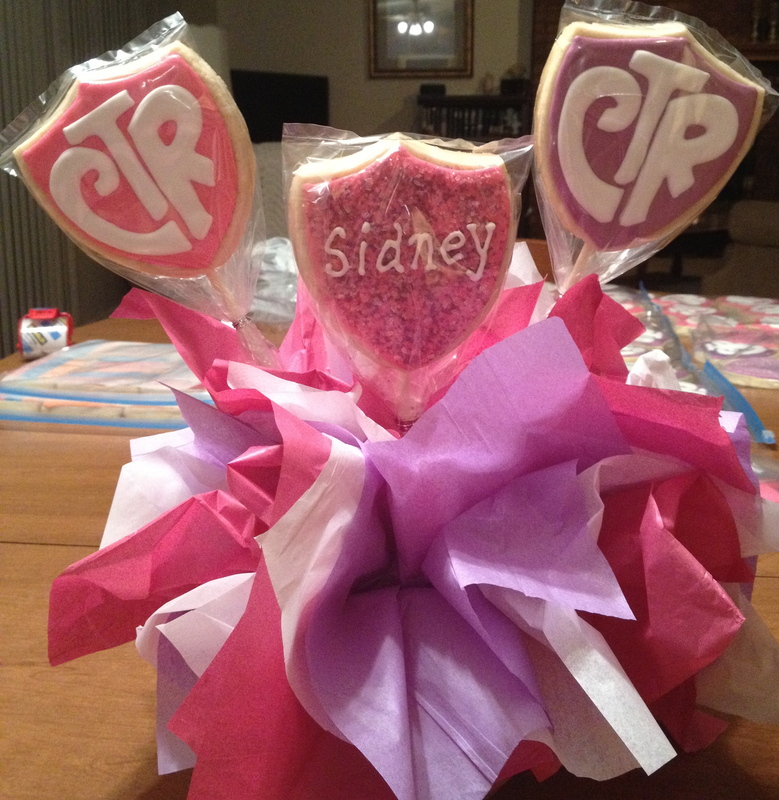 The next sugar cookie bouquet was also for a Young Women’s New Beginnings program. The theme of the new beginnings program had to do with puzzle pieces and how they “fit” together to lead you to the temple. 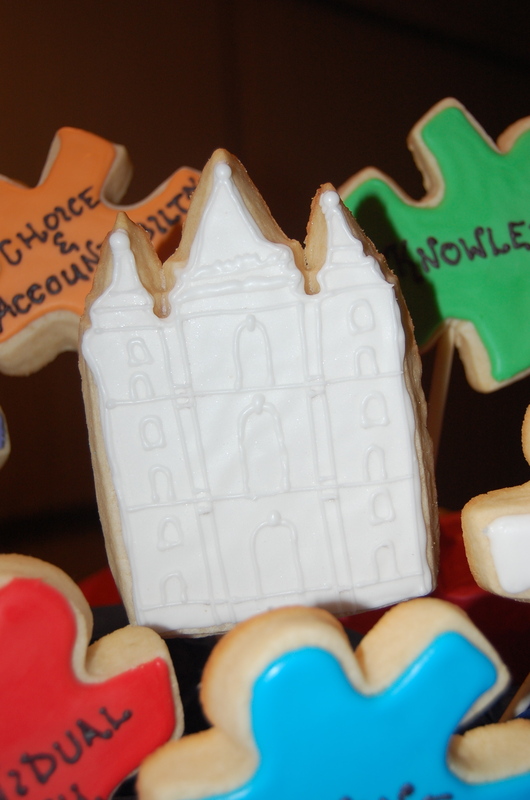 I did a sugar cookie puzzle piece in each of the young women value colors and then I put a Salt Lake temple sugar cookie in the center. 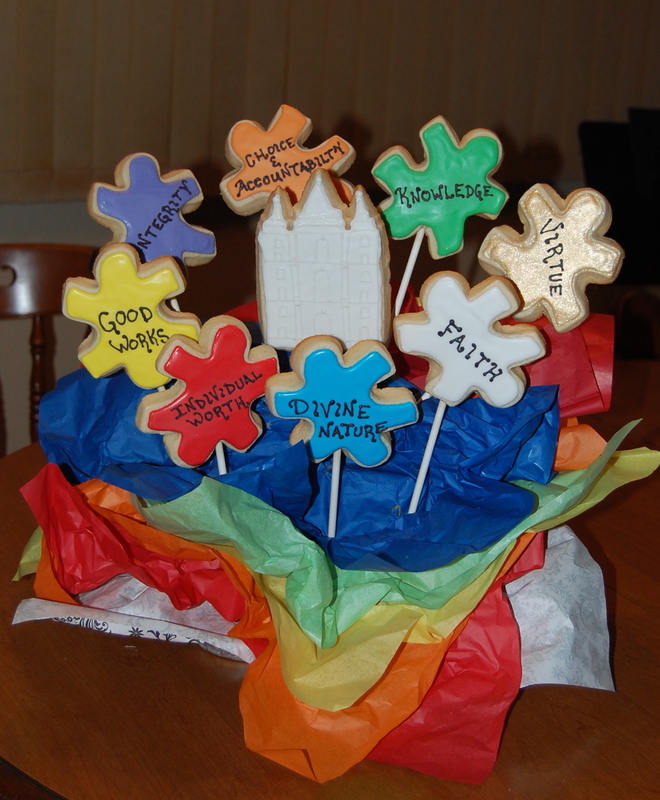 The hardest part of this sugar cookie bouquet was figuring out how to fit Choice & Accountability onto the sugar cookie! Thank goodness royal icing is forgiving because it took me two or three tries. I decided it was time to post the sugar cookie bouquets I have done for people to give as gifts. This will be the first of many posts with sugar cookie bouquets. For those of you who aren’t familiar with CTR it stands for Choose the Right. 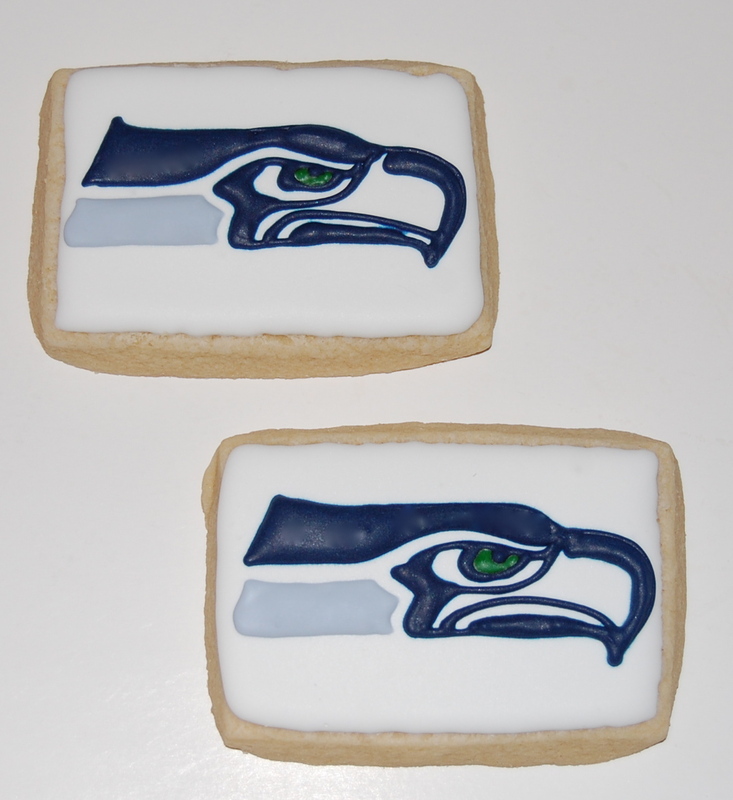 There’s not much time so if you want some Seattle Seahawks logo sugar cookies and/or some Denver Bronco logo sugar cookies for your party you need to order them now. January is almost over and it’s time now to start thinking about Valentine’s Day. 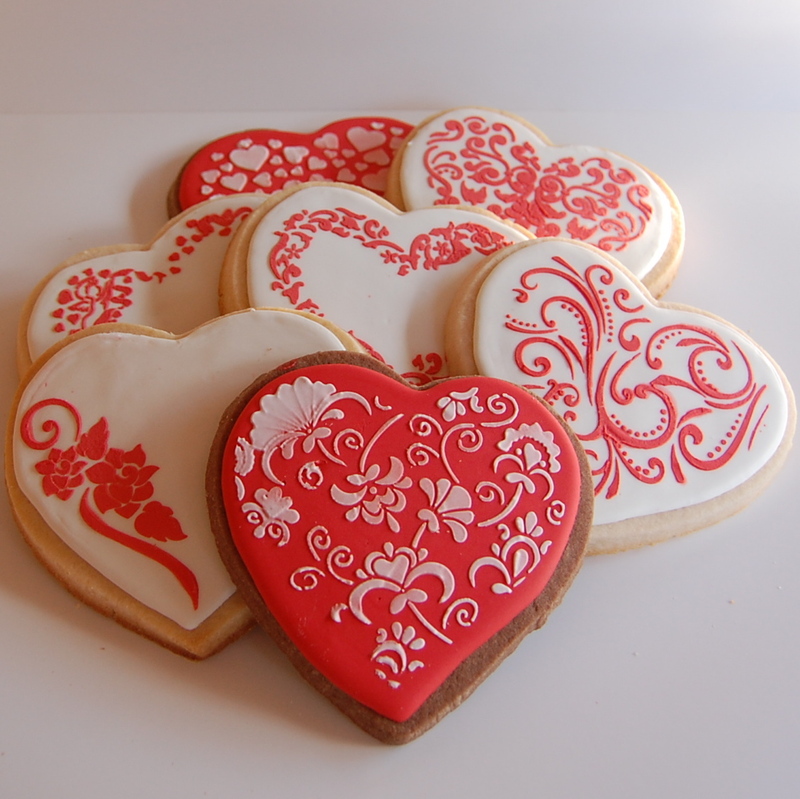 Here are some Valentine’s Day sugar cookies – how about giving that special someone something a little different – forget the flowers and the chocolates – how about heart sugar cookies. 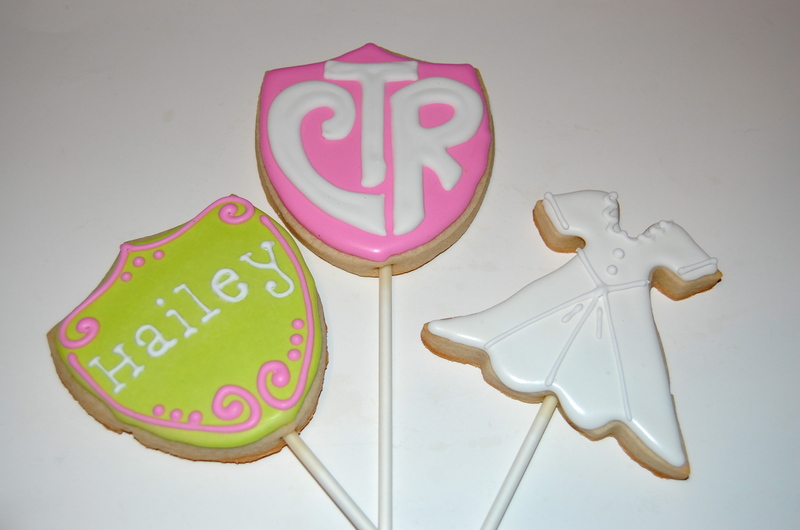 They can be customized with their name on it or just a beautiful design. 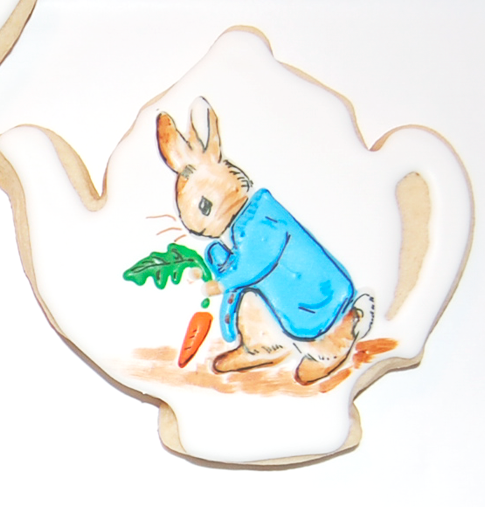 The cookies could even be made into a sugar cookie bouquet. 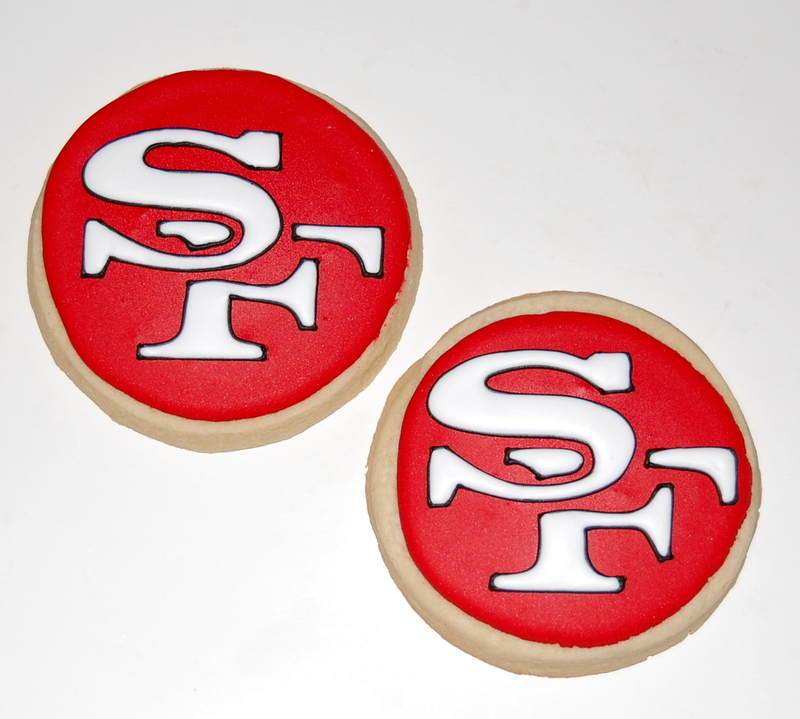 Here are some bite size sugar cookie hearts – perfect size for children. 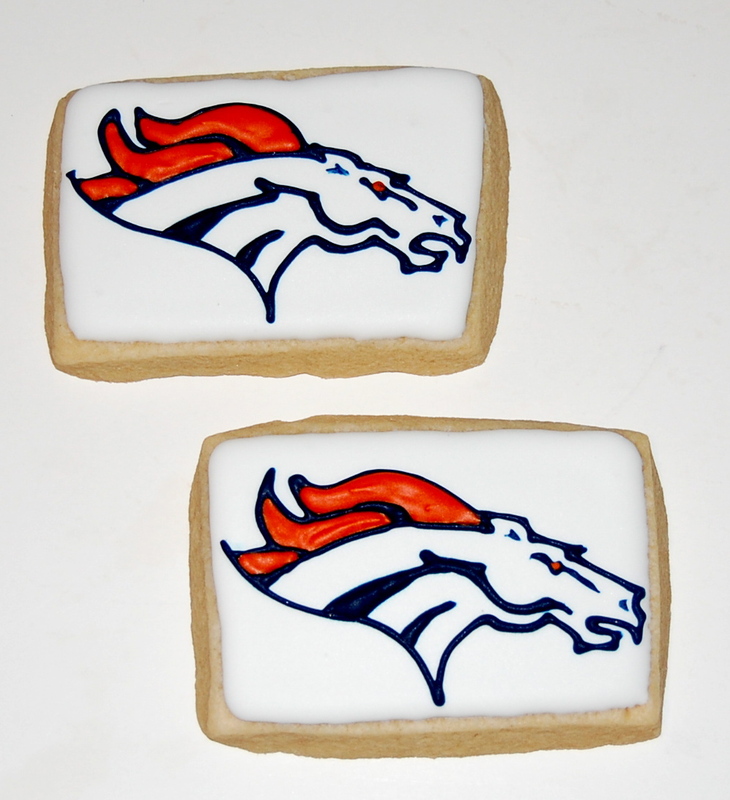 As I was watching the playoffs this year I found myself figuring out how easy or difficult it would be to put their logo on a sugar cookie. 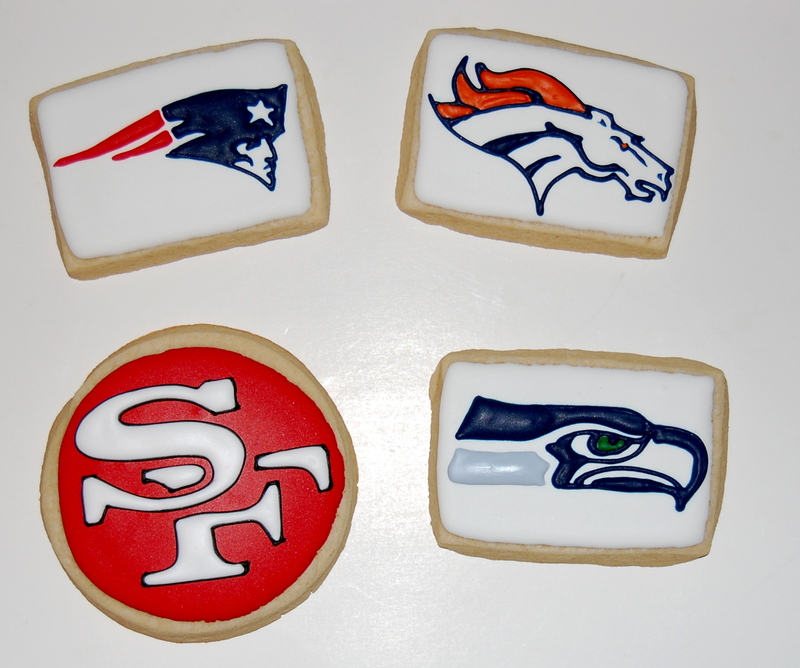 So, just for fun, I decided to do some sugar cookies with the logos of the four teams left in the NFL playoffs. 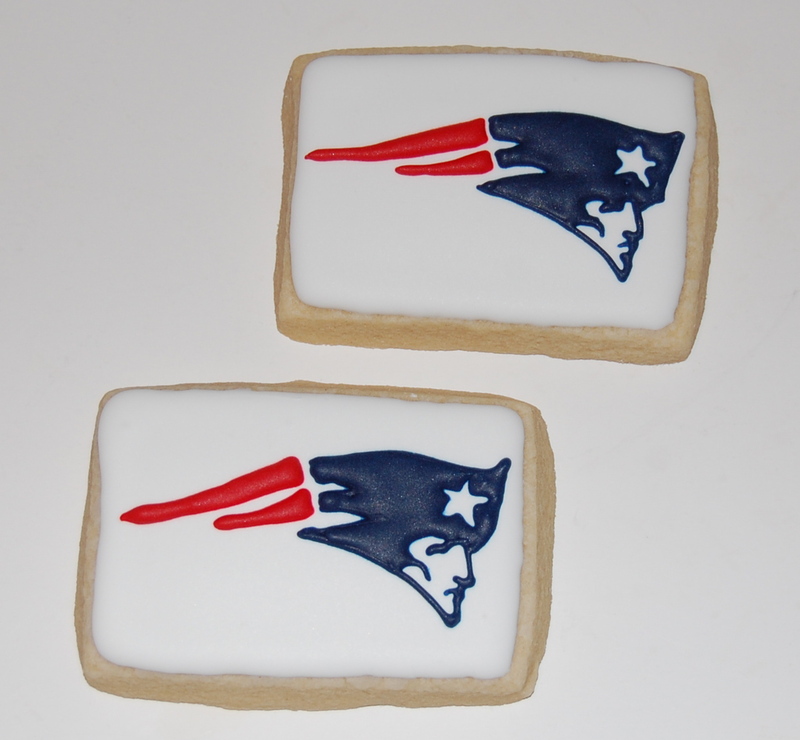 Next time I think I might try putting the logos on a football sugar cookie. 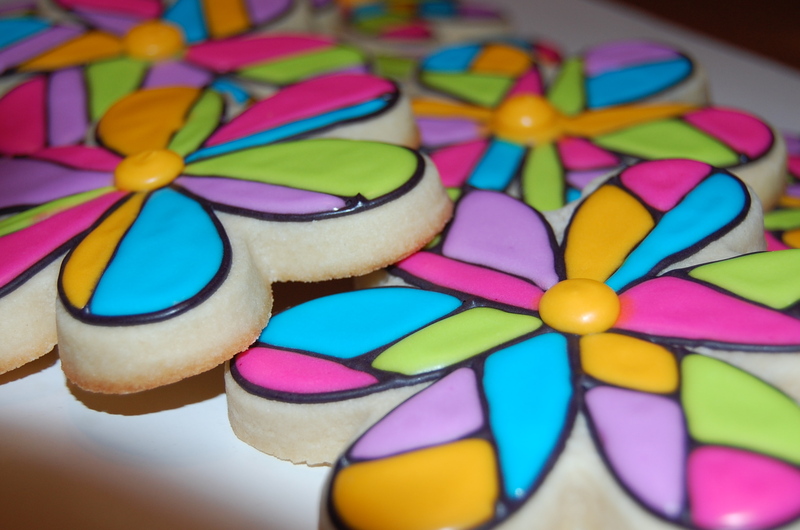 It seems that some of the most popular sugar cookies I do are the flowers. 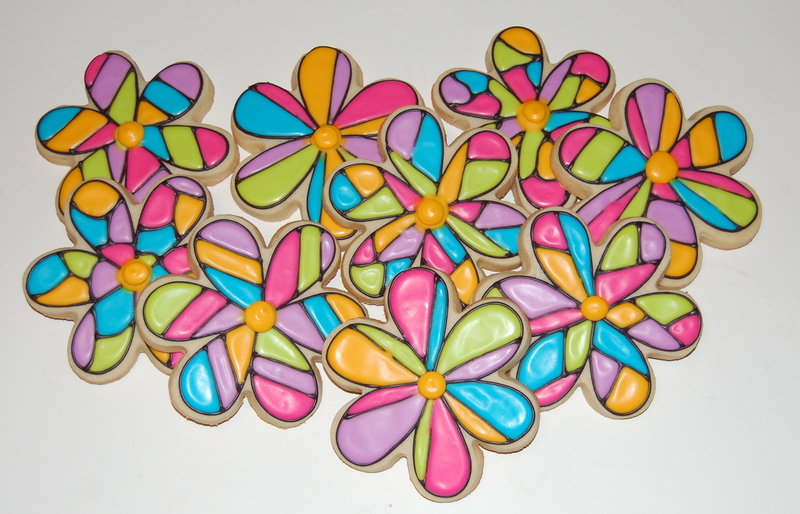 I decided to try a different twist on the sugar cookie flowers and do stained glass flower sugar cookies. 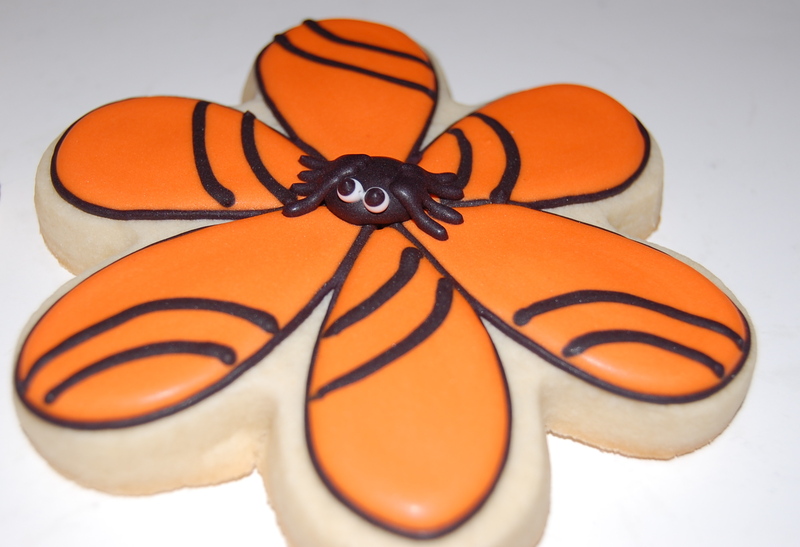 I also did some sugar cookie flowers and sugar cookie butterflies for an event prior to Halloween. 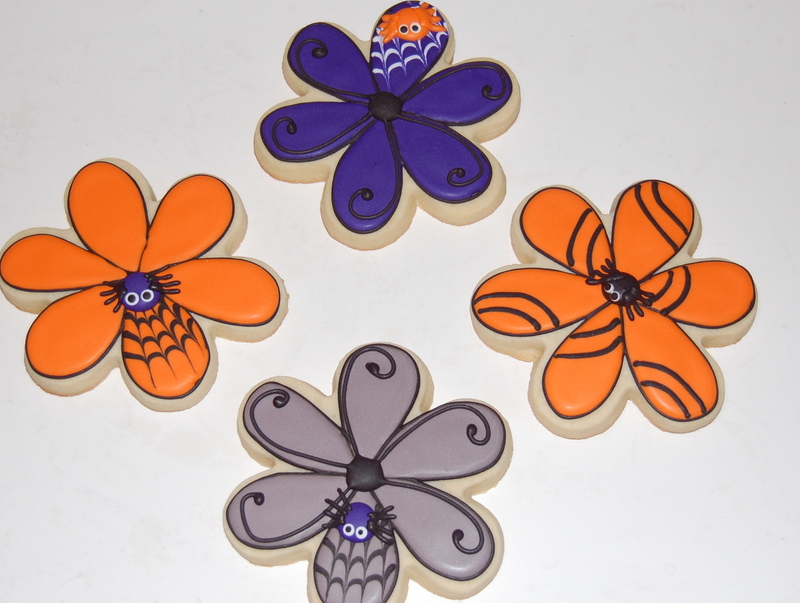 Because I had several sugar cookies left over, I decided to try to turn them into Halloween sugar cookies and this is what I came up with…. 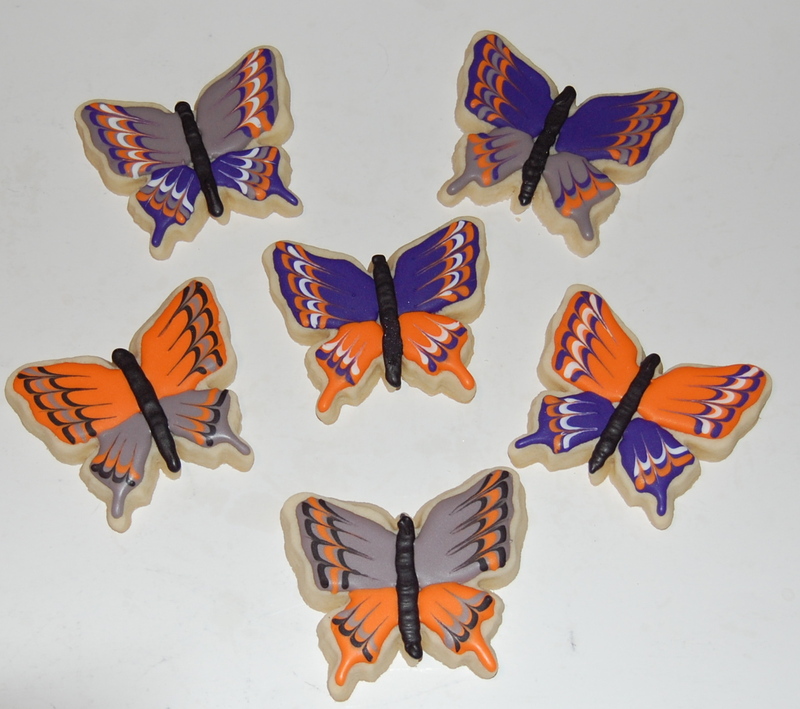 The deep purple and bright orange on the sugar cookie butterflies was very striking and quickly became my favorite combination of colors for the butterflies. What do you think of the variations?